The Wedding Party is taking place from 11am - 3pm on Sunday 25th March 2018 at The River Mills Ballroom, which is a brand-new wedding venue located in Selby (just 20 minutes outside the lovely city of York). 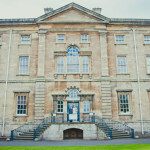 It’s a fantastically quirky venue which modern couples who are looking for a venue that screams “urban chic” will LOVE! The building is a grade II listed building, with loads of period and industrial style features spanning over 5000 sq feet. The River Mills Ballroom will be offering a variety of packages with a great deal of flexibility from dry hire to full coordination and is set to be the next big venue in Yorkshire! 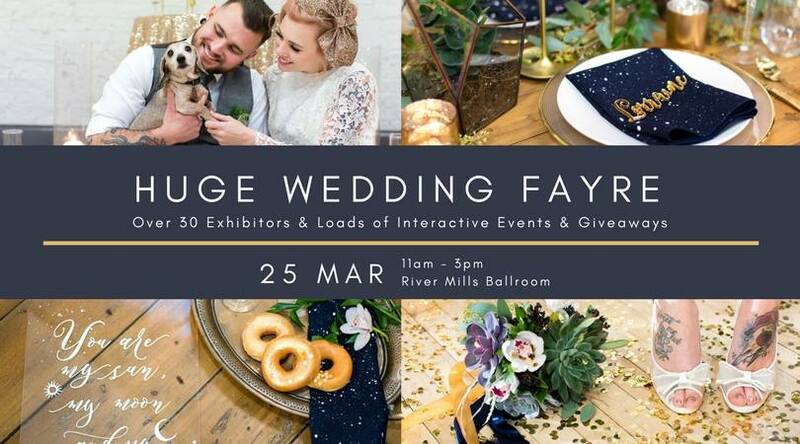 This wedding event is NOT one to be missed - you’ll have the opportunity to meet and be inspired by over 35 of the region’s most awesome wedding suppliers. There’ll be photographers, florists, hair and make up artists, decor specialists, a photo booth, cake designers, and SO many more different suppliers who would love to help you make your wedding totally one-of-a-kind! Not only that, but there’ll be free food and drink samples, free first dance lessons*, free wedding planning sessions*, demonstrations, freebies and lots more. 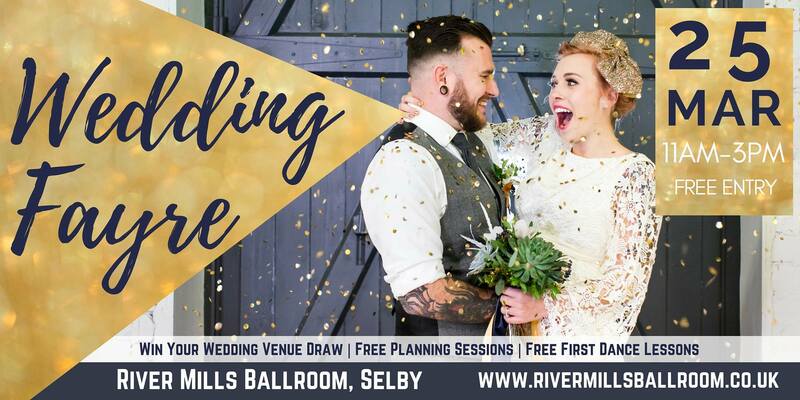 And as if that wasn’t reason enough to come along, there’s also the chance to WIN your wedding venue hire** at the River Mills Ballroom too - wow! There’ll be gift bags worth over £25 for the first 50 couples to arrive… so make sure you get down early! *limited spaces available - places must be pre-booked via the tickets section on Facebook or via Eventbrite. ** T’s & C’s apply - attendance at the event required. 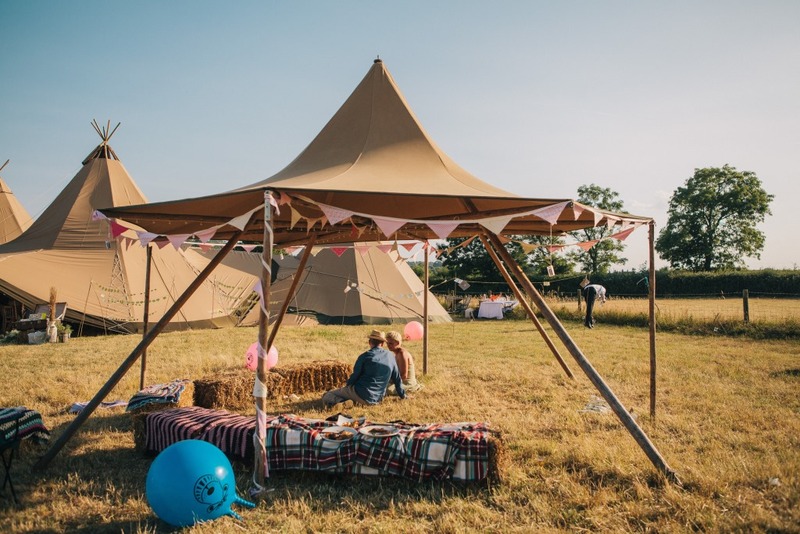 Having been based in Hampshire for more than a decade, The Stunning Tents Company have decided to expand and set up a second home in Yorkshire. The first tipi rental service in the world, we provide unique and creative events packages across the country and in Europe, adding that special touch to weddings, festivals, corporate activations and private parties, to suggest just a few. In the past five years we’ve begun to do more and more work in scenic settings across Yorkshire, the North of England, Lancashire and Scotland, and it soon became clear that establishing a dedicated and permanent branch in Yorkshire was the natural next step in the our journey. After over a year continuing to service our increasing projects in Yorkshire from the south of England, whilst looking for a new Yorkshire home, we discovered Masham, a breathtakingly beautiful region of Lower Wensleydale. Masham (pronounced 'Massam') is famous for its family-run breweries, steam engines, annual sheep fair and rural industry, perfectly located for us to service the North Yorkshire Moors, Yorkshire Dales, Harrogate, York, Leeds and beyond. With 5000 sq. ft. of warehouse and office space adjacent to the fabulous 20,000-acre Swinton Estate in Masham and a full logistics and operations team ready to go, we began to explore the local area. 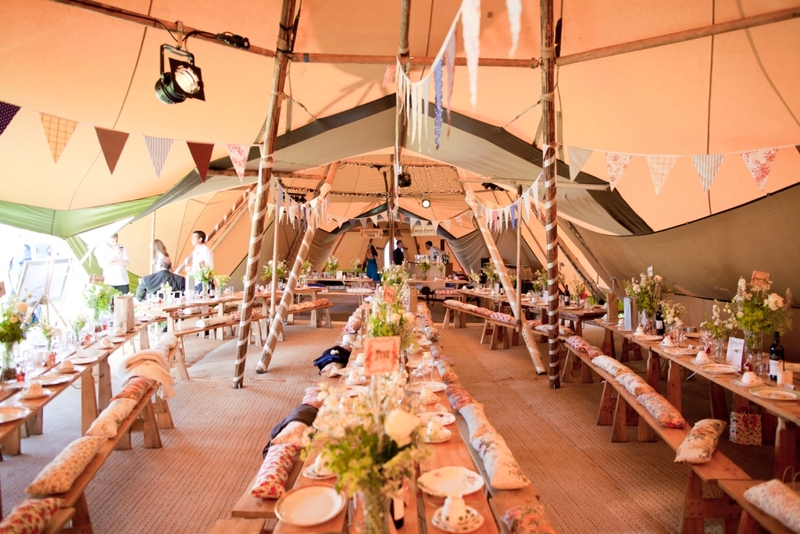 At The Stunning Tent Company, we love the outdoors: our tipis are Nordic-inspired and the wilderness is our playground, so it didn’t take us very long to discovered Swinton Bivouac Glamping experience. Swinton Bivouac is part of the 20,000-acre Swinton Estate which, in addition, includes a AA 4 Red Star Castle Hotel, Country club and Spa, and a Cookery School. Situated in the most picturesque location, we really think Swinton Estate is one of the most beautiful settings in the Yorkshire Dales. Those visiting Swinton Estate will experience a great expanse of woodland spreads over a hilltop, several gorgeous rustic Tree Lodges built using traditional round wood timber framing techniques, and a glamping meadow! For a picturesque woodland walk, the breathtaking views overlook the moorland and lower Wensleydale below. The former farmhouse and barn (now home to the cafe, The Loft, The Snug, a full range of amenities and a shop) have been sensitively restored, with many original features still intact and the authentic sense of warmth retained. It sounds like a dream location, doesn’t it? Whether you’re looking for a romantic wedding location, an idyllic weekend break or a corporate event attendees will never forget, Swinton Bivouac is ideal. With such passion for providing the perfect location for bespoke events and trips, we’re partnering with Swinton Bivouac to stage an Open Day on the 14th & 15th October 2017 from 11am-3pm. We’ll be showcasing the astounding range of stunning tents, interiors, and event opportunities we can offer and our expert team will be on-hand to advise and inspire. Take in the atmosphere, visit the breathtaking Swinton Estate and see luxury in the ultimate location - stop by and enjoy our display of gorgeous products. We’d be delighted to welcome events managers, brides-to-be or those looking for a show-stopping event location. Swinton Bivouac will also be available to discuss all-inclusive packages and offers available for those looking for a woodland wedding. If Stunning Tents sounds right up your street (or woodland path), please email yorkshire@stunningtents.co.uk to reserve your place. To celebrate this Yorkshire Open Day, we’re also offering complimentary Outdoor Lighting sets worth hundreds of pounds with the next ten confirmed bookings. 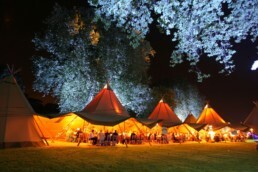 To take advantage of this offer register your interest by emailing yorkshire@stunningtents.co.uk.